Bring your living space's décor into full bloom with the Wall Flower Wall Decor in Silver. This metal wall décor offers a silver metallic finish that helps the piece pop in a modern or traditional setting. It also boasts a casual style and is easy to set up on any wall, at any time. 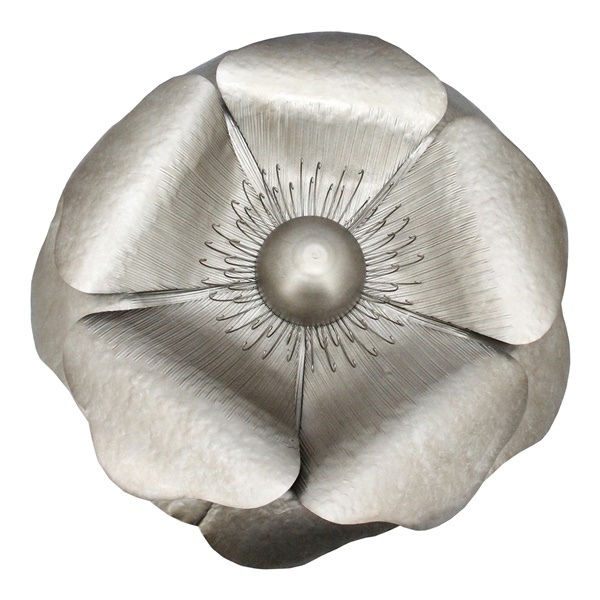 Enjoy a dazzling flower that will look great year-round thanks to the Wall Flower Wall Decor in Silver.